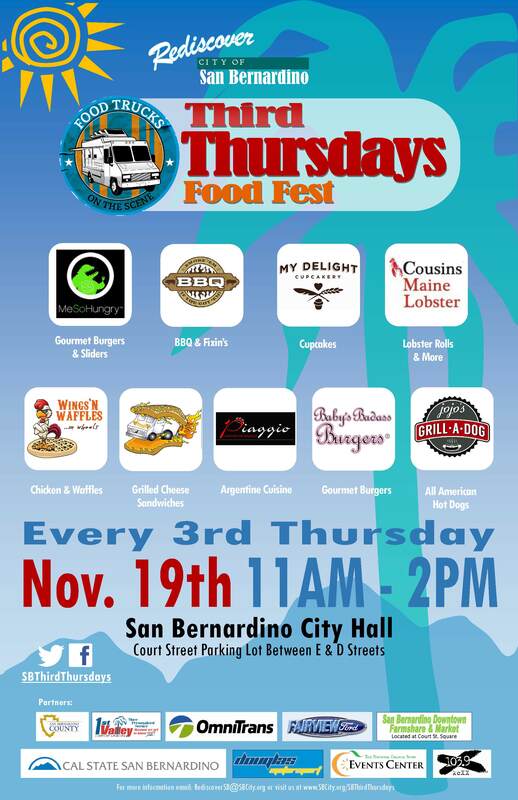 The lunchtime weather in San Bernardino is expected to be perfect this Thursday, November 19, which makes it the perfect day to visit the food trucks on their monthly visit to downtown. This month’s Third Thursday food truck event will feature nine trucks serving up lobster, sliders, hot dogs, burgers, crepes, grilled cheese, cupcakes. Click here for more details.